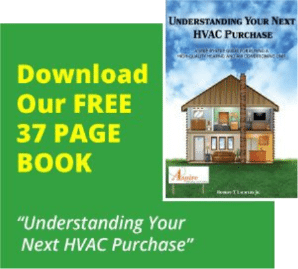 HVAC Clemmons NC – Why You need a Spring Tune-Up Now! Now that you probably are not using your heat as much, it’s time to start thinking about your AC. The hot weather will be here soon, so you will want to make sure it works properly. This is why an HVAC tune-up is important. When you hire an HVAC Clemmons NC company for your tune-up, they will examine every inch of your system. Chances are your energy bills were pretty high over the last several months. A tune-up will help you avoid this for the spring and summer months. This service will ensure your HVAC functions at the optimal levels. Once the heat arrives, you may run your AC all day long. This puts a strain on your system. This means that any minor issues could quickly become major problems. A tune-up will find them and make the necessary fixes or replacements. Better to repair now to prevent a problem on a hot summer day! Just like any type of machine – such as your car, for example – your HVAC needs regular maintenance. Getting it checked by experts will keep it in great shape and extend its lifespan. One big benefit of hiring an HVAC Clemmons NC company to service your system is to improve air quality. If the air gets the proper filtration and ventilation, you will be more comfortable in your home. This will also help with allergies. On that first hot day, you do not want to turn on your HVAC only to discover a problem. To avoid this from happening, contact Aspire Heating & Cooling. We will send a pro out to give your HVAC a complete tune-up. With Aspire, you can be sure that your AC will keep you cool all spring and summer long. Get in touch for a quote.